food kiosks is very popular all around the world . 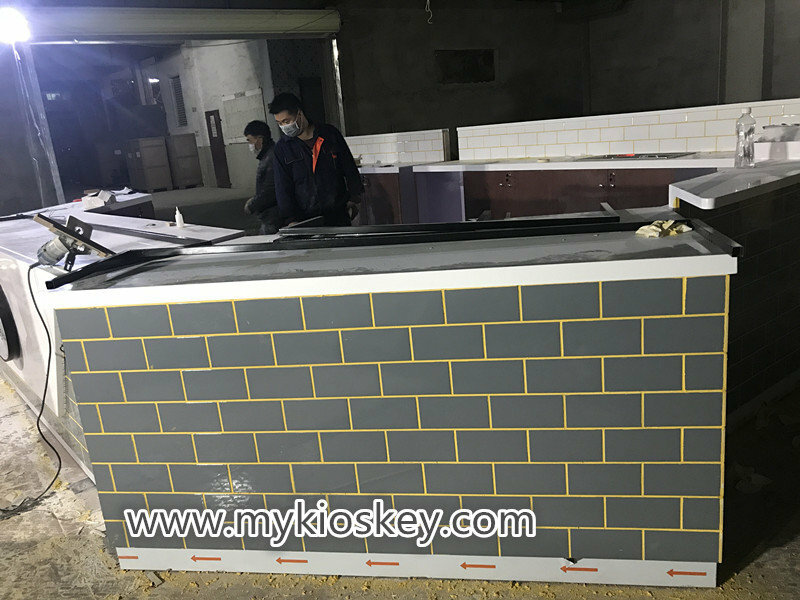 It is widely used in shopping malls, blocks, shops and more . such as coffee kiosk , juice kiosk , bubble tea kiosk , milkshakes kiosk . 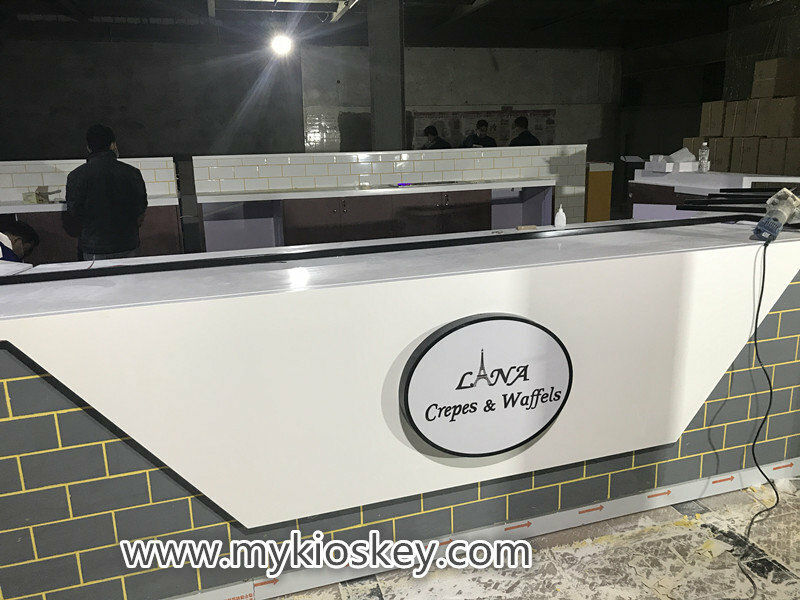 waffle kiosk , crepe kiosk , candy kiosk , bakery kiosk etc , today i wanna introduce a high quality commercial crepe kiosk for your meet , let’s see more details at below . Item : crepe kiosk . Color : white , grey . Material : plywood , laminate , tile . Worktop : white man made stone . Accessories : double stainless steel sink , logo . Delivery : 20-22 work days . 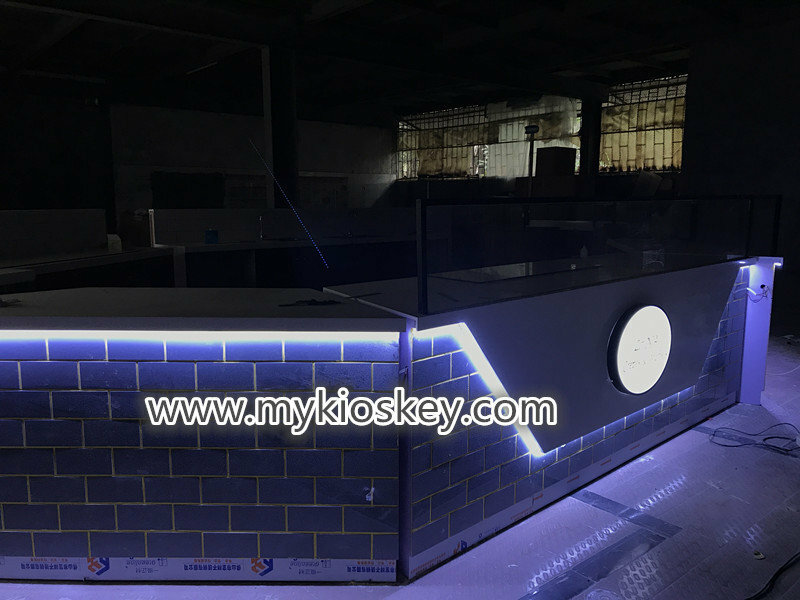 Through the 3D high-definition design images , we can clearly understand the service items of the entire store .it’s for crepe , waffle , fast food snack and more , whole kiosk size is about 6000X3000mm , basic material is flame retardant plywood . Choose white and grey as the primary colors, very high end and elegance . Let’s see the kiosk inside carefully , There is an entrance at the left sides of the entire cabinet , next to a small checkout counter . At the front are work counter and glass display showcase . 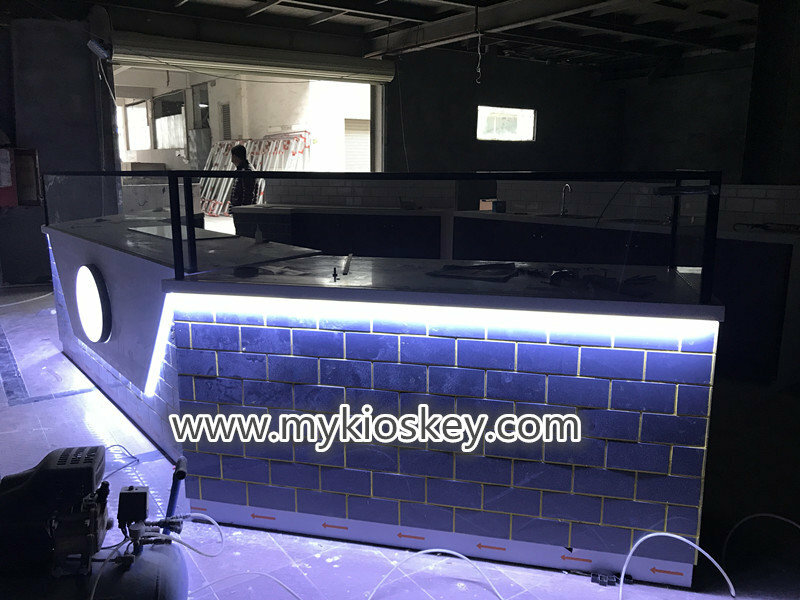 a mall bar counter on the right with two bar chair , for customer waiting area . the back sides of this kiosk have counter with many wooden cabinet for storage , the countertop can put some small machine and sink . 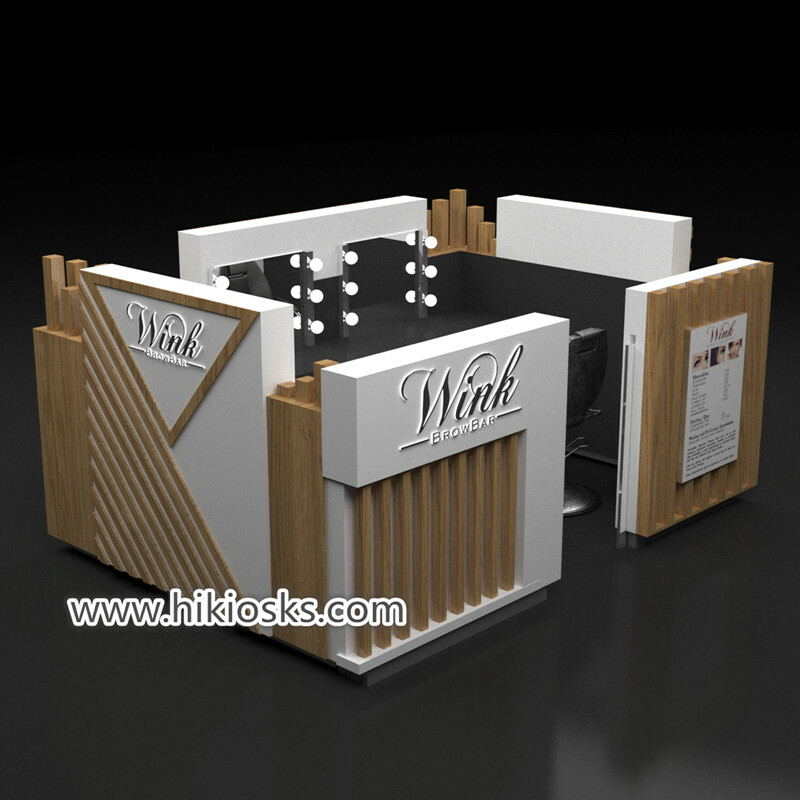 Whole kiosk surface with many grey tile decoration, light box and 3d logo , it’s Very creative and eye-catching . 3. How can i customized a crepe kiosk like this one ? Thanks for your time and reading , if you interested build a crepe kiosk or want more further info . please feel free to contact us .